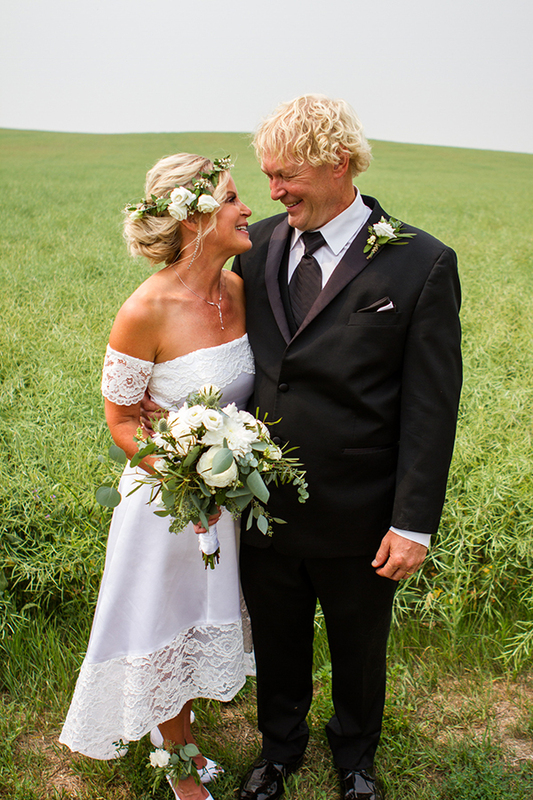 It was a fairytale come true for gorgeous Alberta bride, Melody Kessler, on her most magical day. Having reconnected after many years, it was all in the right timing/right place for the trainer / UFE elite fit model and her now-husband. 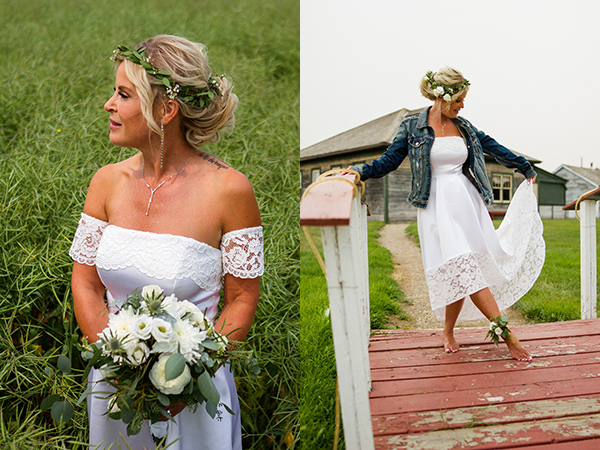 From the lush florals and rustic backdrop at the Trochu Arboretum to her off-the-shoulder LE CHÂTEAU wedding dress, Melody’s wedding was a beautiful rendition of garden-bohemian. 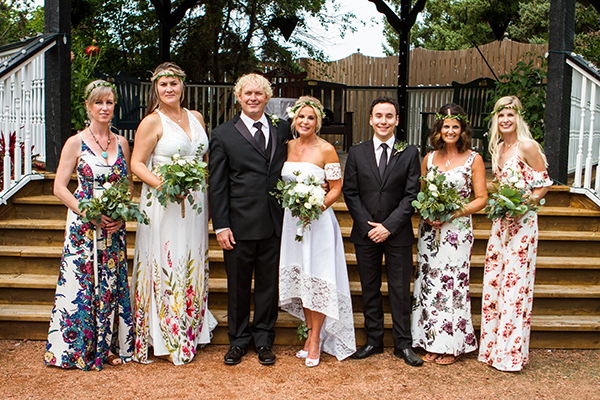 The bride told us she loved boho style but also wanted the elegance of a garden theme. She combined both ideas with a bit of country flair. It turned out beautifully and exactly as Melody envisioned. “We had a small wedding with our family and close friends. There was so so much love there on our special day”. Fitting true to her theme, our Desteny wedding dress was a perfect match. With its delicate off-the-shoulder detailing and romantic high-low hemline, Melody looked stunning while still feeling comfortable on her big day. She complemented her look with a flower crown and these LE CHÂTEAU jewel embellished pumps. “I knew my LE CHÂTEAU dress was the one as soon as I saw it online. It was so pretty and elegant and had simplicity. Everything I was looking for. It fit perfectly. It wasn’t heavy and was so lovely to wear”. Along with the beautiful dress, the day was filled with so many special moments such as Melody’s daughter, Charity, walking her down the aisle to Charity singing “Bless the Broken Road” while Melody and her husband did the signing. How would Melody sum up her wedding day in three words? “Brilliant, magical, love”. We couldn’t agree more. Thank you, Melody, for choosing LE CHÂTEAU to be a part of your special day. Photographers: Cory Cameron and Mikaelyn Sych. Check out our new LE CHÂTEAU Wedding Boutique collection here.